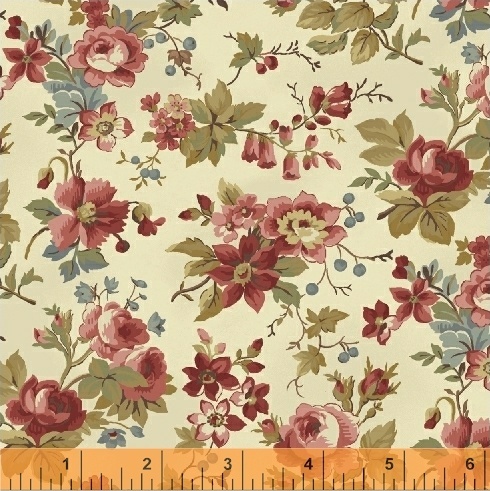 Larisa, by Mary Koval is inspired by fabric designs from 1870. A French toile with a wonderful forest-like scene of trees and flowers is almost magical. These fabrics will make a wonderful table runner or quilt of any size. Two colorways of the toile are also presented in 108 inch wide back for all of your quilt back needs. 26 skus. On sale October 2017. Delivery to stores March 2018.